Let's start with the good. 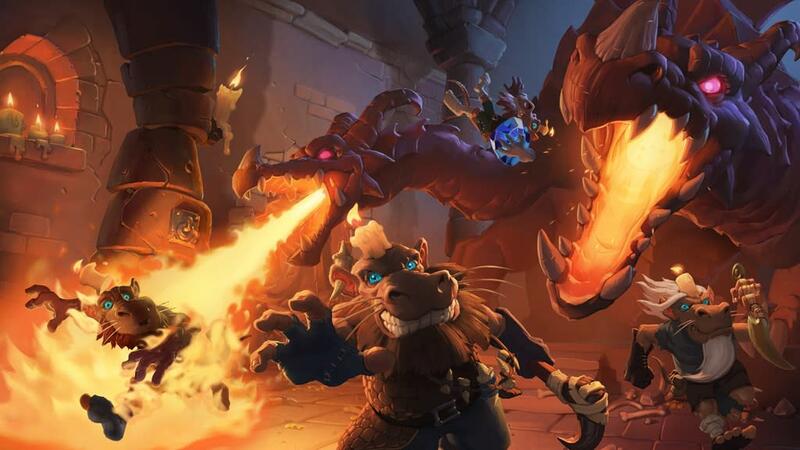 So far, the cards that Blizzard has shown off in advance of the expansion's release work to introduce a higher skill ceiling to Hearthstone that players have been asking for for a long time. While there are new random chance-based mechanics in the game - such as Recruit, which summons a random minion from your deck - these typically involve intricate deckbuilding, careful deck-tracking, and a good game sense to leverage their full potential. 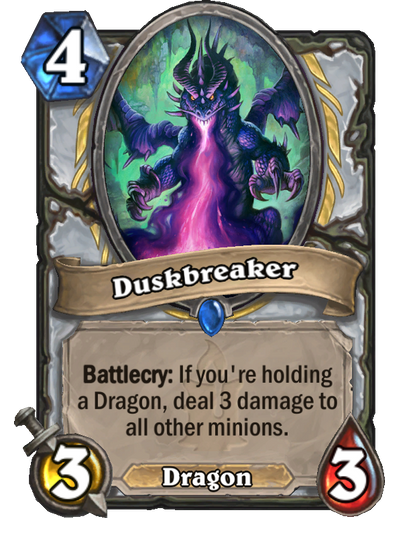 Elsewhere, we have cards such as Duskbreaker, which many pro players are calling one of the strongest Hearthstone cards they have ever seen. This card, and other new ones like it, make it so that more classes can keep the board clear of minions, allowing them to better survive into the late game. This would carry on a theme that we saw with the most recent Knights of the Frozen Throne expansion: Games that last longer, and emphasise more careful play over a longer period of time. The other product of that kind of play is that we might get to see players actually use some newly-introduced "meme cards", or cards with amusing interactions that aren't often viable. 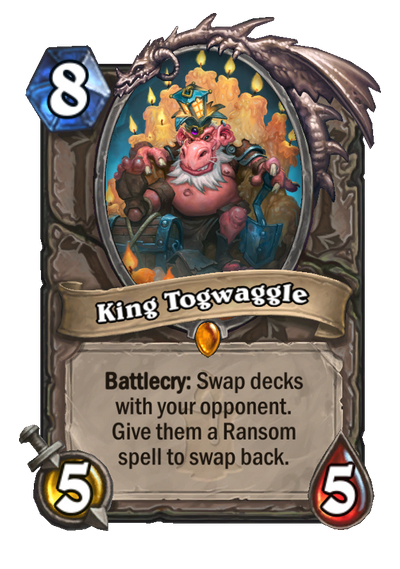 Among these cards is King Togwaggle, a big Kobold dude that lets you switch your deck with your opponent's. 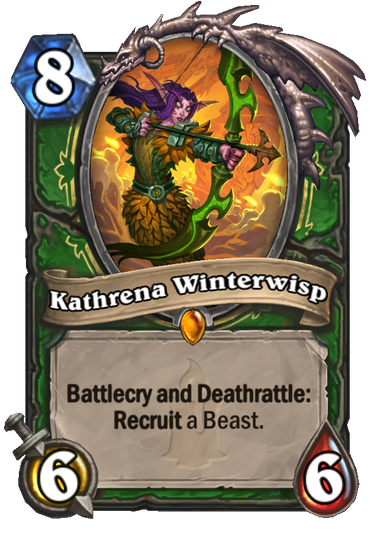 But after looking at a lot of these newly-announced cards, it's likely that a player will end up wondering what these cards actually do when they play them. That's because in Kobolds and Catacombs, there's a lot of extremely confusing card text. For example: One of the biggest mechanics being introduced in this expansion involves "Spellstone" cards, which become more powerful as certain requirements are met. 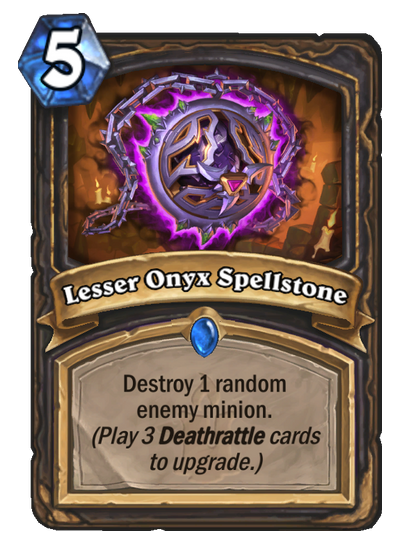 Onyx Spellstone, the Rogue Spellstone card, will kill one minion for five mana - but will kill two, and then three, minions for the same amount of mana if you play multiple Deathrattle minions. What's impossible to know right off the bat is how these spell upgrades actually work. Here are three big questions that came to mind when I saw Spellstone cards for the first time, and the answers that I only found later by doing extra research. None of these questions are answered by the text on the cards themselves, and I actually had to do a pretty good amount of research to find out how these cards work. For the average player, the vagueness of this card text would likely mean that they have to actually do a trial run in a real game - something that seems to go against Hearthstone's primary virtue of approachable, intuitive gameplay. Spellstones aren't the only upcoming cards to suffer from this clarity issue. 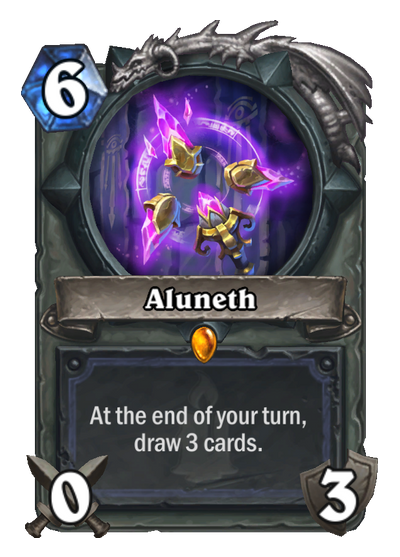 Multiple Legendary weapons, such as the Mage weapon Aluneth and the Warlock weapon Skull of the Man'ari, have 3 durability, but apparently don't lose durability unless an opponent damages or destroys them. This would be different from pretty much every other weapon in the game, which lose durability when their effects trigger. 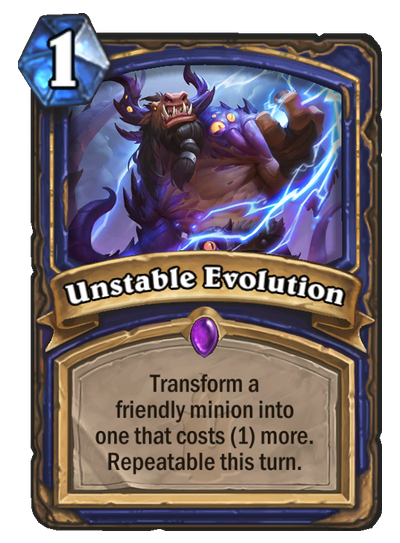 Another example: The recently-announced Shaman card Unstable Evolution reads, "Transform a friendly minion into one that costs (1) more. Repeatable this turn." Repeatable how? Once? Infinitely? If I want to plan my turn correctly, I need to know how this card works, and the only way to find out at this point is by looking online. While this nitpicking about language and consistency might sound petty, it actually has a ton of implications in a language-based game such as Hearthstone, where games are often won or lost based on a knowledge of the mechanics. In the past, Blizzard has repeatedly emphasised that it wants, above all else, for cards to be clear in their functionality. This September, when the team nerfed the card Fiery War Axe - a two-mana 3/2 weapon from the classic set and a relatively easy one to decipher - Game Director Ben Brode explained that the move was partially to make the card more "intuitive", saying that it is "generally better to make things intuitive when possible. The game is fun when you're learning about the strategy options and learning from them, not necessarily being surprised by things working differently than you previously memorized." This would seem to be at odds with many of the cards revealed thus far for Kobolds and Catacombs. Sometimes, to pave the way for more sophisticated interactions, you have to make mechanics more complex. For now, I have to wonder what's being done to combat the compounding effects of confusing card text. Will Blizzard offer better tooltips to clarify how cards work? Will it make a more reliable online resource for players to look up the specifics? Whatever the case, if Hearthstone ends up going in a direction where a pre-existing knowledge of mechanics is a much more important part of playing the game, I shouldn't have to scrounge through the forums to figure out how a card is going to work when I play it. This article basically gets written every expansion. Yes, it does get slightly more difficult each expansion. Some of that is unavoidable, some of it is by design. But the sky hasn't fallen yet and seems unlikely this time either. There are always low-cost/no-cost decks that do well in each season, no reason to think it wouldn't still be the case this time. I think this whole doomsday propaganda comes with all TCG's. Oh no! You have to play a card once before you know how it operates. How will I keep up??? Real talk, I am so hype for this expansion. The dungeon crawling thing specifically!